Rhys is the Director of the Penn State ministry with DiscipleMakers. He graduated from Penn State in Computer Engineering. He started working for DiscipleMakers full time in 1998. 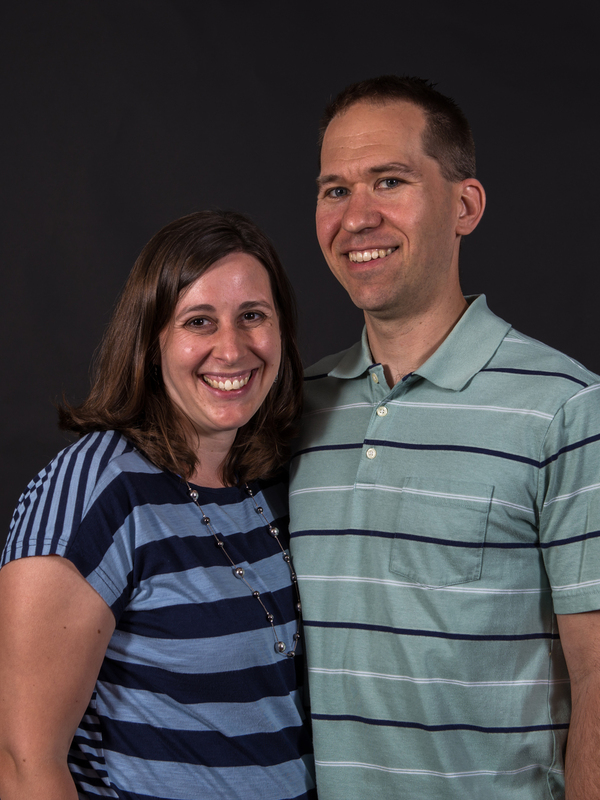 Becky also graduated from Penn State in Computer Science and joined DiscipleMakers in 2002. They both love college students and helping them grow in their faith. Rhys enjoys fixing things (especially if it uses electricity), hiking, and spending time with his children. Becky enjoys homeschooling the children and reading books. They have four young children, three girls and a boy. Shannon graduated from Muhlenberg College in 2016 after studying History and Music. Originally from New Jersey, she entered college with hopes of working in the Music and Theater business in NYC upon graduation. During her freshman year, however, God softened her heart to give her a renewed understanding of the gospel and a passion for making disciples on the college campus. She is so excited for the opportunity to do this at Penn State! Shannon loves music, hiking, dancing, and watching sunrises & sunsets. She's also a triplet. 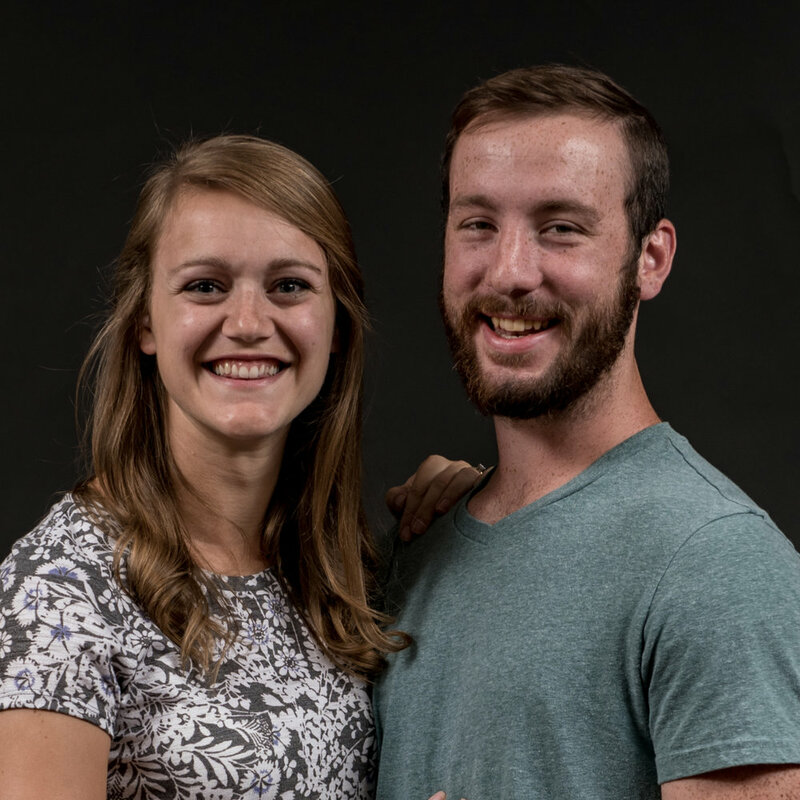 Dan and Rebecca have had the privilege of doing campus ministry in Virginia, Pennsylvania, Florida and overseas. It is their wholehearted desire to devote all of their time seeing lives touched with the power of Christ. Dan is a graduate of Virginia Tech and loves hanging out with people, photography, playing strategy games and pretty much any sport. Rebecca graduated from Grove City College and enjoys the outdoors, reading a good book or getting a hot cup of tea. They have three young, loud and rambunctious children who keep their house hopping. Taylor graduated from Lebanon Valley College in December 2017. She studied Spanish and Global Studies. Her dream was to return to Lancaster and be a Spanish teacher but God captured her heart for the gospel during the Fall of 2015 when she saw the reward of seeing people fall in love with Jesus. She is excited to use her Spanish major on campus and reach international students to see the gospel go to the nations. She loves soccer, photography, listening to music in her car with the windows down, reading, swimming, and traveling. Ricky graduated from Bloomsburg University in 2012 with a degree in Elementary Education. Though Ricky loved teaching younger kids his greater passion was to serve Christ reaching college students with the Gospel. Cheneá graduated from Arizona State in 2014 in Broadcast Journalism. Cheneá worked at AccuWeather as a broadcaster before joining Ricky on campus. Ricky enjoys sports, deals, buffalo chicken and helping men to become mature and equipped followers of Jesus. Chenea loves two-stepping, sports, DQ cheesecake blizzards and helping women see their worth and identities as daughters of God. When Nick went to Penn State and Heather went to Lafayette College they didn’t expect to want to stay on college campuses. Nick was interested in partying and leaving to become an mechanical engineer, but the Lord found him after his freshman year and he couldn’t stop telling people about Jesus. Heather waited all through college to finally get to go back to her hometown, but realized her senior year that her real passion wasn’t in a place but in people knowing Jesus. Nick likes playing basketball, hunting, fishing, the great outdoors, and fixing all sorts of things. He looks forward to becoming close friends with many students and helping them love Jesus. Heather loves stories, playing games with friends, ice cream, and puppies. She is thankful for the opportunities she has at Penn State to help women grow in their love of Jesus. Madi graduated from Penn State in 2015 with a degree in Film and Video Production. She entered college with the dream of becoming a blockbuster filmmaker, but God had other plans. Jesus called Madi to follow him her freshman year and gave her a new dream: to help others to know God personally and share about the greatest story - God's plan to reconcile people to himself. Madi enjoys spending time with her husband, Brandon, and with friends, blogging, reading a good book, and coming up with new and creative ideas. Brandon graduated from Penn State University in 2014 with a major in Secondary Education Mathematics. Although enjoying teaching about math, he realized that he enjoyed teaching people about Jesus more than math. He currently serves in the DiscipleMakers headquarters and volunteers some of his time serving on campus as well. Brandon enjoys board games, ice cream, and training men in wisdom and godliness.